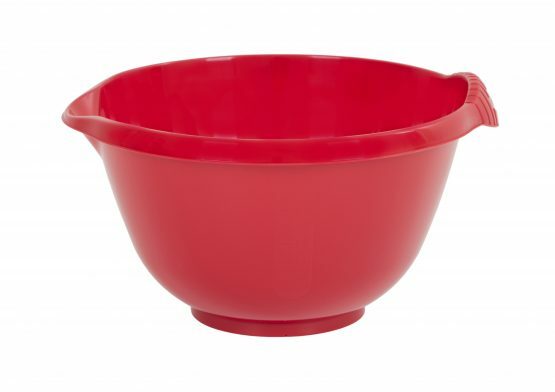 4 litre medium round mixing bowl with handle and easy pour spout. Dishwasher and microwave safe. Durable and easy to clean.